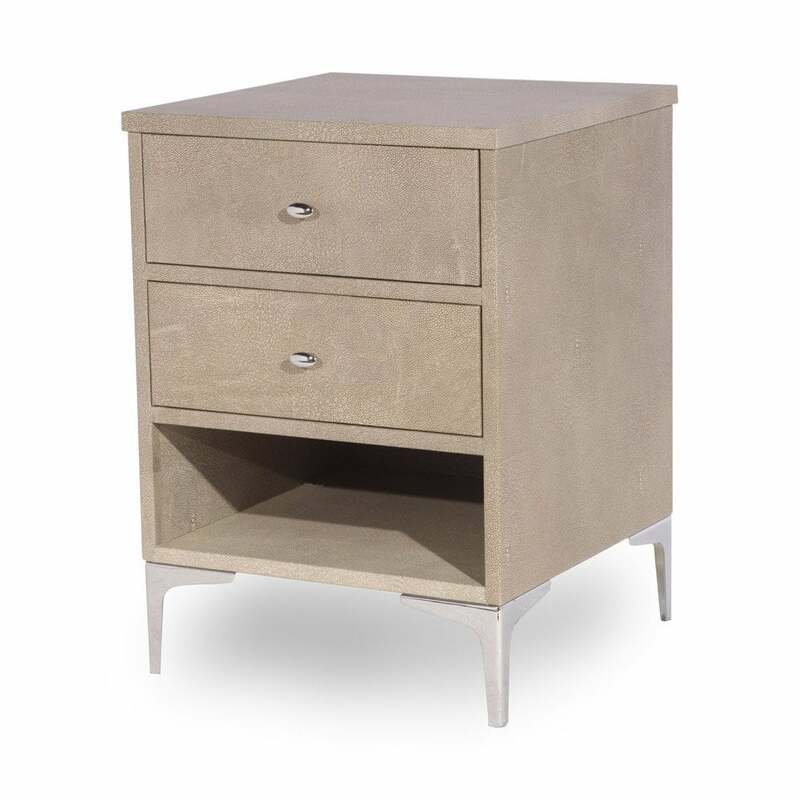 New bedside table covered in metallic lizard pearl with elegant chrome legs, two drawers and a storage shelf. This can be configured to your individual requirements. As with all Simpsons' pieces, this bedside table has been handmade in England.